Hunting for back issues at a comic book convention can be a very fun and rewarding experience, but it can also be stressful and expensive! After attending many cons myself and spending countless hours flipping through long boxes, I’ve designed a fairly effective process that works well for me. Everyone is different and has their own goals and objectives at a con, so feel free to use this information in a way that works best for you. The focus of this guide is strictly on buying back issues at comic book conventions; not toys, artwork, trade paperbacks, high value CGC-graded books or anything else at a con. Each of those has its own unique approach, but if you’re attending a con to try and fill some gaps in your collection, pick up some key issues or dig through dollar bins, then this is the guide you should be reading. There’s no way around it – human beings are filthy, germ-spreading animals. We use our hands to touch everything, we sneeze and cough in public, and some of us simply have bad hygiene habits. All of this gets cranked up at comic book conventions like SDCC. Imagine 130,000 germ factories all squeezed into one place, side-by-side, for four and a half days and you’ll begin to see the importance of taking preventive measures. At a mega-con like San Diego Comic-Con, everyone is too busy and too stressed to think about personal hygiene and proper manners, so it’s up to you as an attendee to make sure you don’t catch or spread any germs, otherwise known as “con crud.” It happens to the best of us, no matter how extreme your measures are, because there’s nothing you can really do if the person sitting next to you in Hall H sneezes on your face and you have to spend the next 8 hours pressed up next to them. 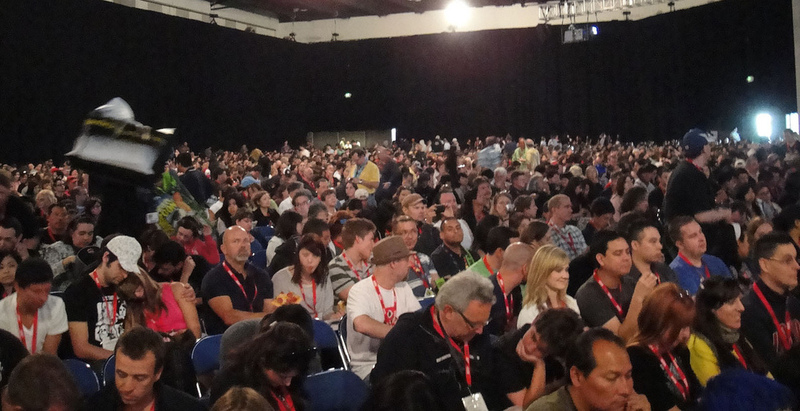 One of these Hall H attendees could be Patient Zero.